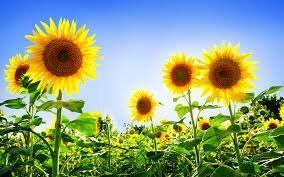 Sunflower: Bright, sunny and soft. The scent of golder sunflowers. Contacted shop when it looked like the item may ship too late to meet estimated delivery time, was told it would be shipped sometime the next day. Received no update in three business days, found another supplier, and asked for my order to be canceled and refunded. Was told it would be "taken care of" but instead of refunding my order I was sent the order I no longer wanted another four days later. My favorite! It smells wonderful and not too overwhelming. I haven't used it in anything but I am sure I will be pleased!